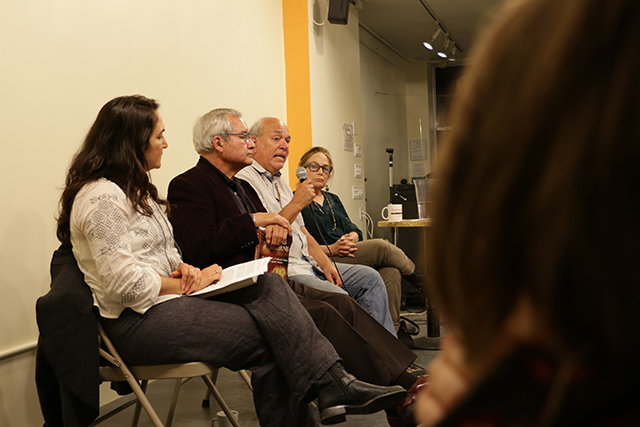 The historical “myths” of the Spanish missions in California were heavily critiqued at a presentation on Thursday evening, as the organizer Lisa Ruth Elliot from Shaping SF framed the evening as a way to “open the conversations that are not happening” around the histories of Native Americans in California. A crowd of about 50 people at the Eric Quezada Center for Culture and Politics at 518 Valencia St. sat nearly motionless as they listened for almost two hours as U.C. 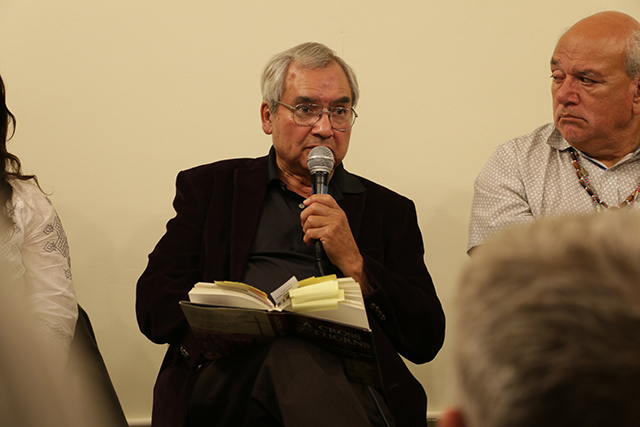 Santa Cruz scholar Lisbeth Haas, Valentin Lopez, chair of the Amah Mutsun tribe, and author Elias Castillo unpacked the lived experiences of Indians in missions between 1769 and 1833. What followed was the rebuilding of the missions, co-financed by the Big Four railroad tycoons, and “a myth creation of the missions by the land developers,” designed to draw buyers to California. The California Board of Education “fell for this story, and the Catholic church was happy with this narrative,” Castillo said. Rather than getting a “sorry” by the perpetrators, he demanded a confession by former colonizers, the United States, the state of California, and the Vatican. “A confession of their crimes. For our people to heal, we need to the truth,” Lopez said. And this “truth,” which in the eyes of Castillo is “similar to what the Nazis did in Europe,” need to be educated. “Don’t tell 4th graders — they’ll have nightmares. But teach 9th graders,” the author said. As soon as the floor was opened for discussion, Sean Burns, who teaches social history at U.C. 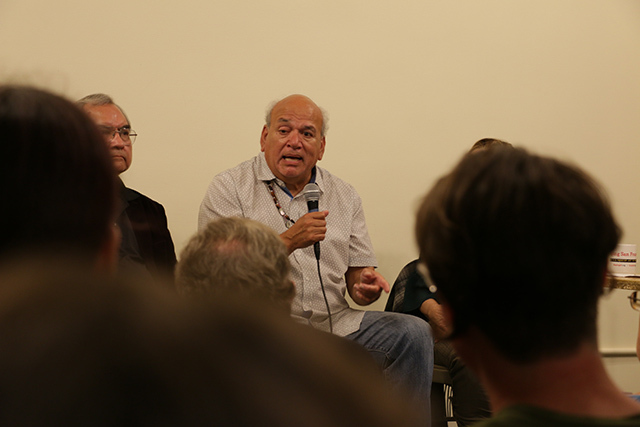 Berkeley, stressed the importance of telling children the history of Native Americans at a young age and not when they get to 9th grade.